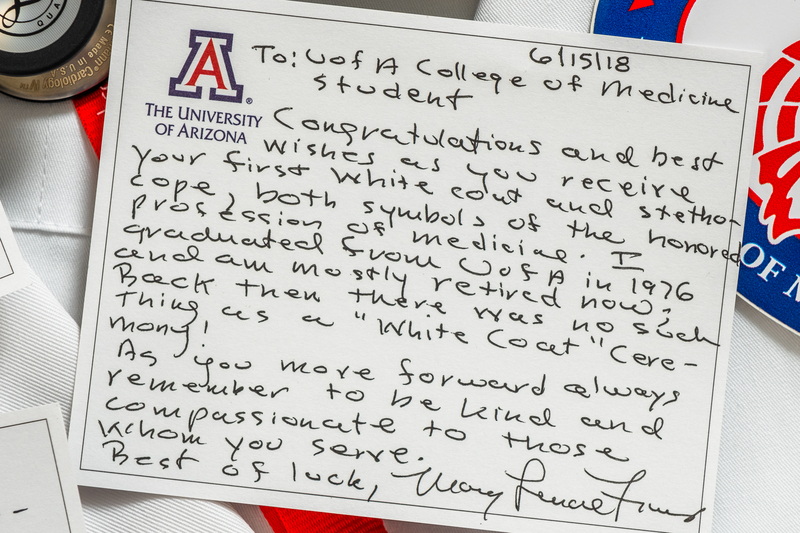 More than 100 new medical students received and donned their first white coats at the University of Arizona College of Medicine – Tucson White Coat Ceremony on July 27. 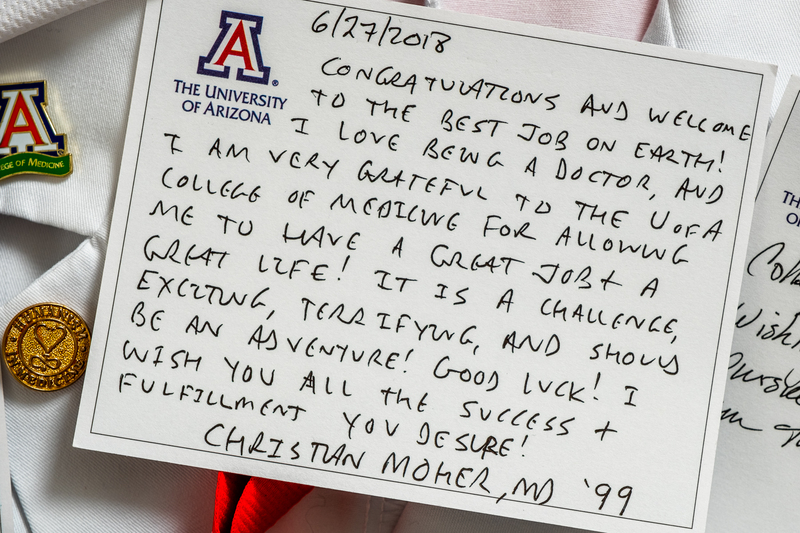 The White Coat Ceremony, a traditional rite of passage for entering medical students, signifies a student’s acceptance into medical school and his or her commitment to humanism in medicine. 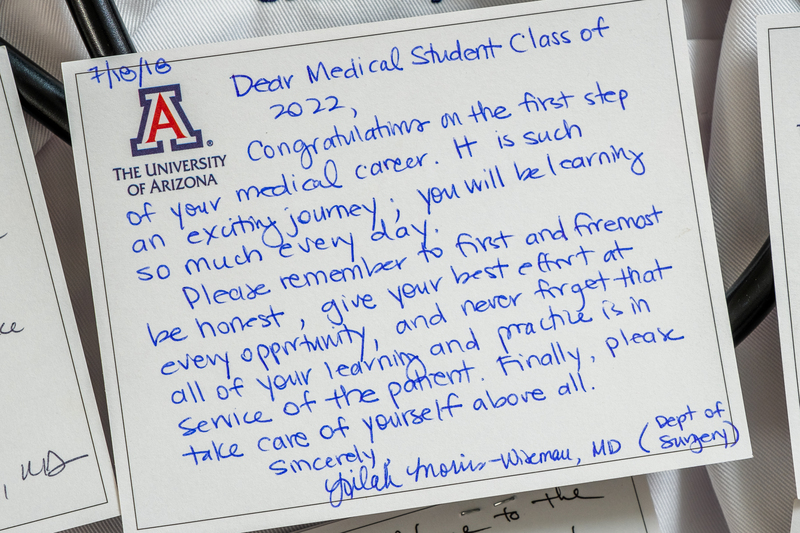 After being robed with their first coats, students recited an oath acknowledging their dedication to patient care. 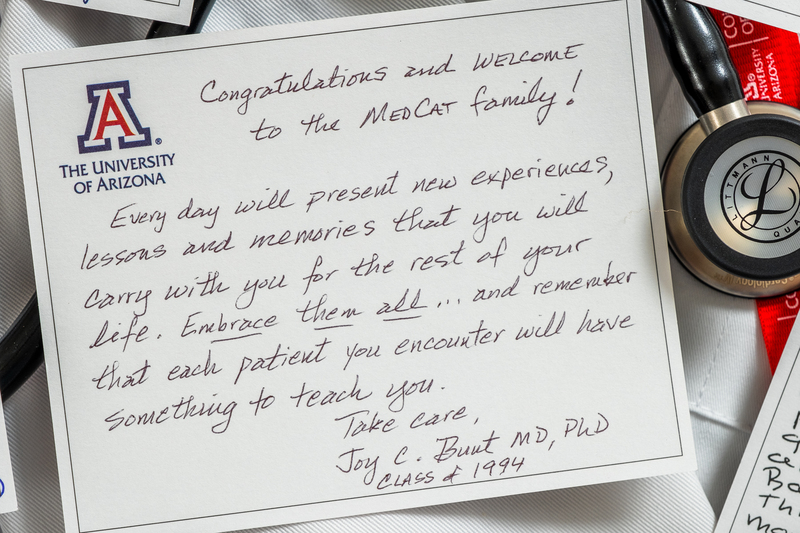 This year, the college introduced a new tradition to the White Coat Ceremony. 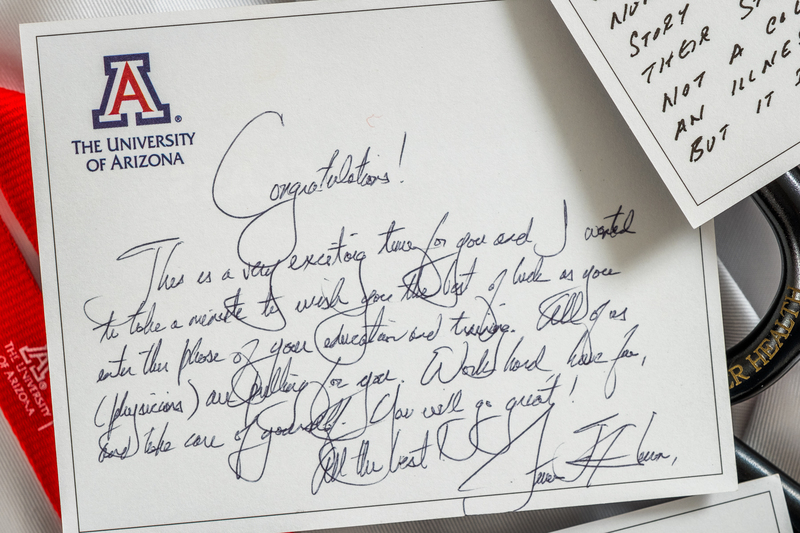 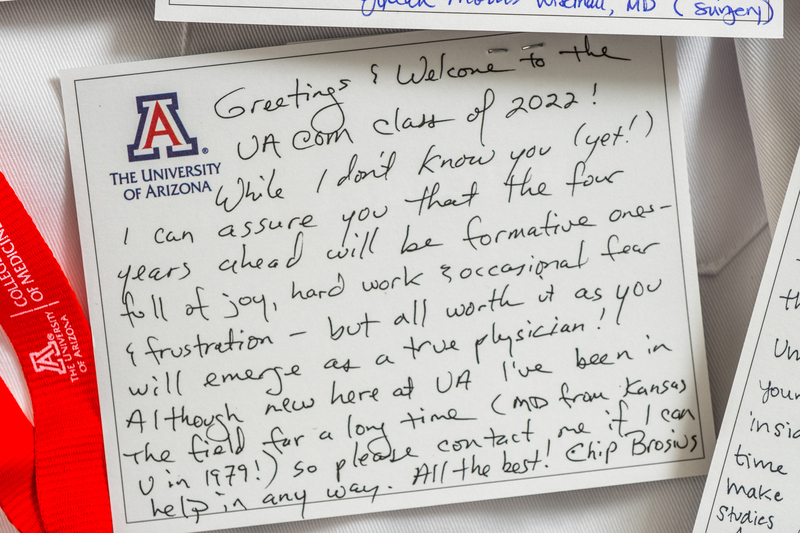 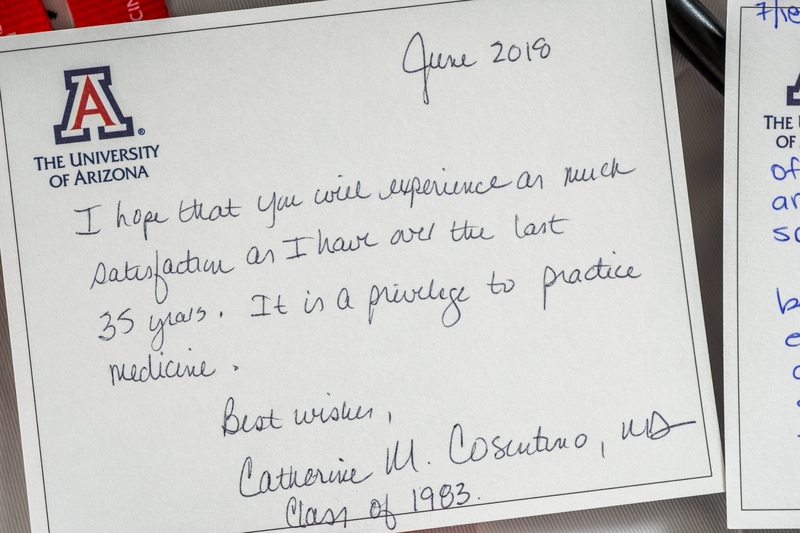 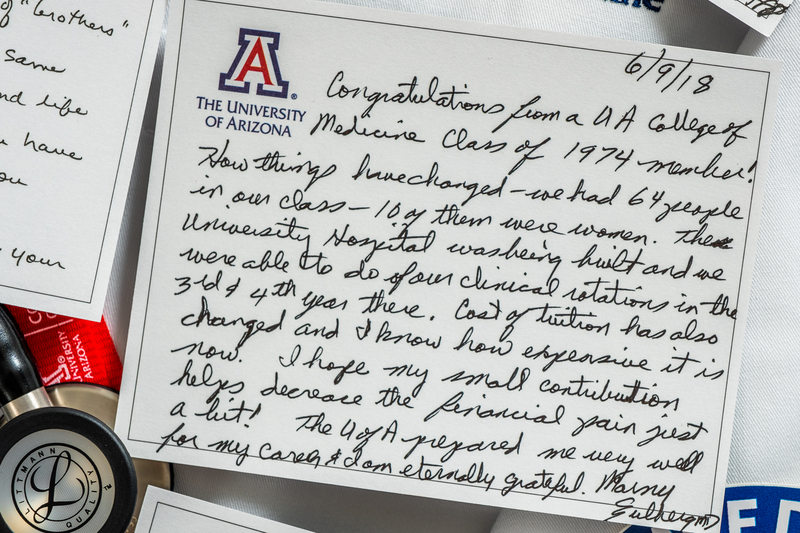 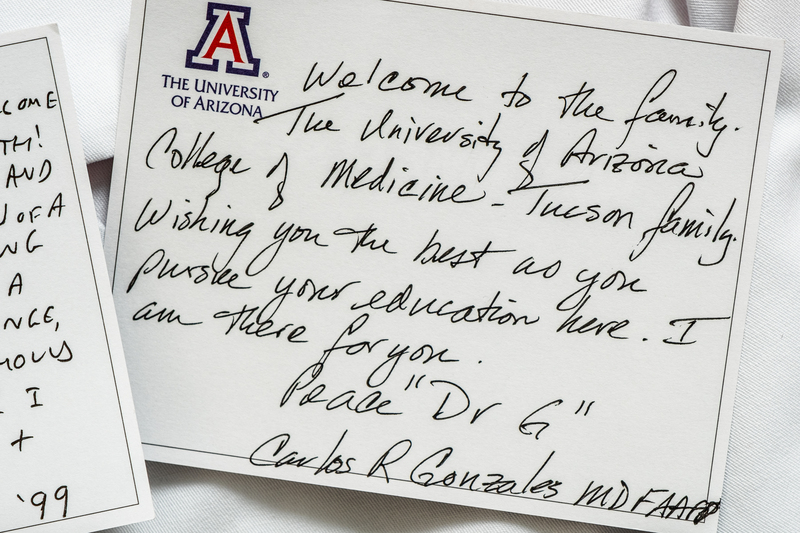 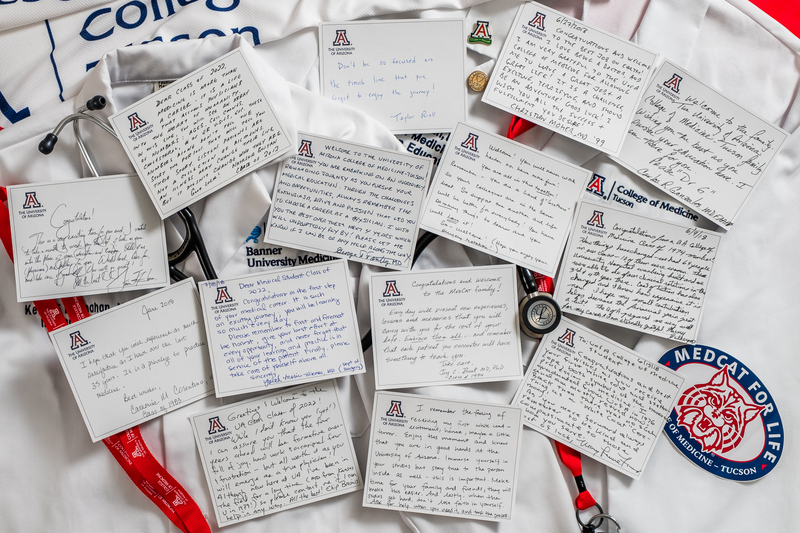 UA College of Medicine – Tucson alumni and faculty were invited to handwrite a message of support, inspiration and guidance to a new medical student. 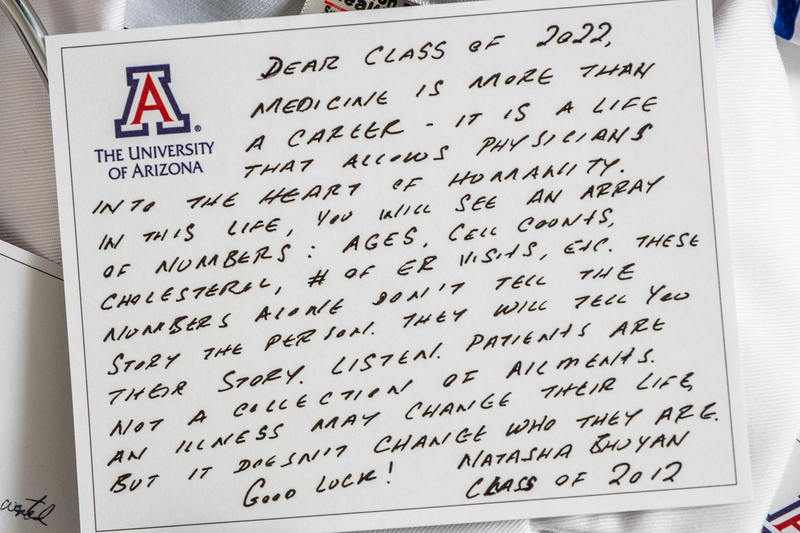 One note was placed inside the pocket of each student’s new white coat. 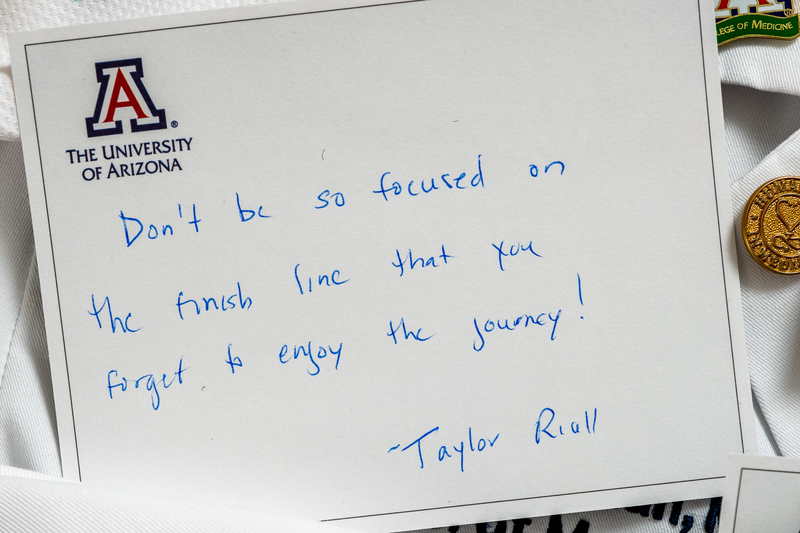 Students were encouraged to read their messages after the ceremony.